Your master guide to cooking meatKnow the cuts and master the skills, The Meat Book will help you conquer cooking meat, with over 300 meat recipes combined with expert advice about getting the best from quality meats and experimenting with more unusual cuts.With butchery courses on the rise and people wanting quality cuts of meat at a good price, The Meat Book is here to help you learn everything about cooking meat, from top to tail. You can try meat recipes such as oxtail stew, beef carpaccio and pork stir-fry, plus over 50 step-by-step techniques on how to cook a turkey, how to make sausages and more. All the mouth-watering recipes for pork, lamb, beef, poultry, game and offal include timing and temperature charts to make sure you get the perfect flavour, plus help with choosing which herbs go with different meats.To help you create tasty meat dishes there is a unique ‘How to Butcher’ section which provides illustrated step-by-steps and focuses on cuts of meat that can be easily butchered at home. 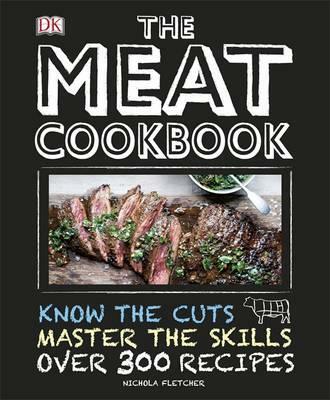 You also get tips on how to use a meat thermometer, how to test for ‘doneness’ and how to experiment with flavour pairings.With expert advice from butchers on the best cooking techniques, The Meat Book is the perfect guide to help you prepare and cook delicious cuts of meat.